I kind of glanced at it when I was there for the ACE event...I'd love to see some more rides...less "spinny" rides too. The 2017 season at Coney is now officially in the books. Thanks to all those who came out and visited. It is hard to believe that I have completed 16 seasons working there. Looking forward to my 17th season in 2018. Will Coney be getting anything new for 2018? Not sure if I missed it or not. I haven`t heard anything official yet. I have heard some rumors, but nothing concrete that I can report at this time. I will keep you posted if I hear anything. They have added even more lights to the event this year, along with new songs. I went through this last year, and it was an amazing experience. Please get there early if you go. There were reports of 1-2 hour waits to get in last year, particularly on weekends. I haven't been through a drive-through lights display in years. As a kid we always went to the one at Sharon Woods, and one year we went to the one at Pyramid Hill in Hamilton. Will have to try and make it out to Coney's this year. 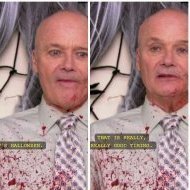 I went through this on opening night, this past Friday, November 10th. It is well done, and in my opinion well worth the admission of $6. Will be going through again at some point with my in-laws. They have changes the route up a bit. At the end of the route, you actually drive through the picnic grove (right past the river gate and flood indicator sign, which unfortunately they did not light up). You exit the park by Riverbend and drive past the Dodgems and the Python before exiting the parking lot. Very impressed. Had a great time on Saturday and enjoyed the new setup (and driving by the lighthouse/landing). 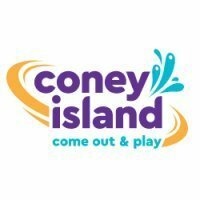 Could a Jellystone campground be added to Coney, maybe a character if Coney?? Sure yogi bear would rock, but maybe luke what Americana had or set of new mascots. I have talked with numerous people within park upper management about that. Their response was that they are only allowed to use yogi bear characters ect with the campgrounds. I think Coney would have a great opportunity to put some along the river on either side of the river gate. But also the strict rules of the branding would also not allow us to do curtain things as well. Look for Coney in the future to bring more characters to the brand as well as themeing on the dry side of the park in the future. There really isn`t room on either side of the river gate to add a campground, as that is all part of the picnic grove area. Como Cruisers wasn't all that exciting anyway. If I want to ride around on the lake I'll take a paddle boat or canoe (though I realize those options may not work very well for families). I do miss the old bumper boats but understand why they were retired. Bumper boats will not be back. Stay tuned for what will replace Como Cruisers. I agree that I'm happy to see Como Cruisers leave, although I do hope they put something better in to replace it even if it can't be bumper boats which is a bummer because those were a lot of fun. Maybe a modern day chute the chutes Lost River tide. Remember though, that Coney`s rides will be open for the Appalachian Festival, as well as for the Coney Season Pass holder weekend, the weekend before Memorial Day Weekend. It's almost like this happens ever year... crazy. They should just pick up their rides and move them someplace else! I am trying to find pics of it underwater. =( That would be a site to see. As well as riverbend music center. River is projected to get up to 59.5". Can't believe they filled Sunlite pool already! They're ahead of the game!